Every single one of your employees knows how to post an Instagram, knows how to post on Facebook, and knows how to send an email! You don’t need to pay an expensive marketing firm to takeover what you and your employees can already do in house. However, using Social Media for business can’t be done successfully on the same “at random” basis that we post personally. This is where ASC comes in! Our full-day workshop is a fun, schedule busting way to maximize your ROI when it comes to your employees and social media marketing. It also includes team building exercises to help you better delegate and organize certain tasks. Create an actionable monthly content calendar. Create a grid/theme for your Instagram. Utilize Instagram Stories & Organize them for new visitors to your page. Implementation of services such as Canva & Buffer to help post consistently and effectively. Creation and training with MailChimp, which is free up to 2500 subscribers. Tips and tricks to collect email addresses from walk-in customers and turn them into repeat business! There’s only one way to make the most out of every single review you get, whether its negative or positive: RESPOND. Review responses are the best way to tell your side of a made up horror story AND to show off just how friendly and customer oriented you are. 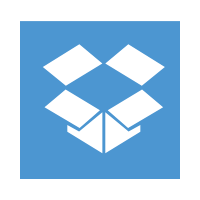 We’ll set you up with a Social Media Content Dropbox to make sharing posts and content as efficient as possible. Efficiency is KEY to making changes and saves you time. Half Day: $400, plus $50 per attending employee. Saturdays are half-day only. Must be booked at least 2 weeks in advance. Limited travel area (Greater Nashville). Non-refundable $100 deposit to hold appointment goes toward remaining balance on day of. Use the Form Below to Book your Workshop! Which is your Second Best Day? Are you Interested in a Catered Lunch from a Local Nashville Business? No, we will provide lunch. We will be in touch within 24 hours to confirm your booking and take your $100 non-refundable deposit. This deposit will go toward your balance, due the day of your workshop. You will receive a formal booking confirmation once your appointment has been officially processed. We designed this website. Click here to request your own.